Opened in April 2018, the Institute for Contemporary Art is a noncollecting institution that showcases an ever-changing slate of exhibitions, performances, films and special programs. The 43,000-square-foot building includes performance and exhibition space, a sculpture garden, an auditorium, a café, administrative offices and more. 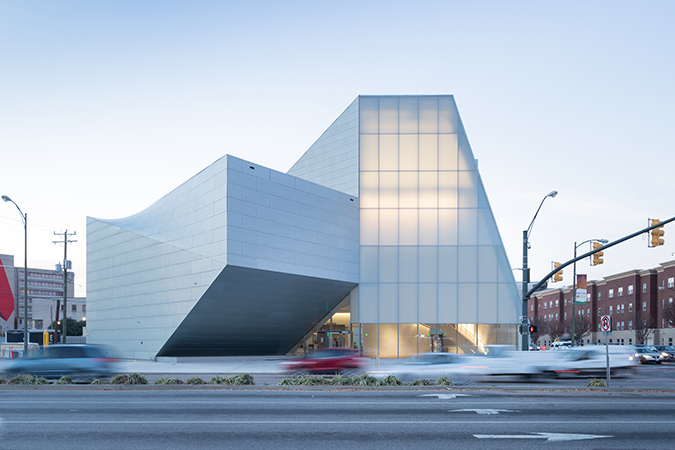 Designed to be an educational and cultural resource for both VCU and the city of Richmond, the ICA features the work of renowned artists and designers from around the world. Admission is free but free timed tickets are required to view exhibitions. Steven Holl Architects was selected from 64 competing architecture firms from around the world to design the ICA.